We are excited to have Donnie Sundal of Boukou Groove play in our Tuesday music series. 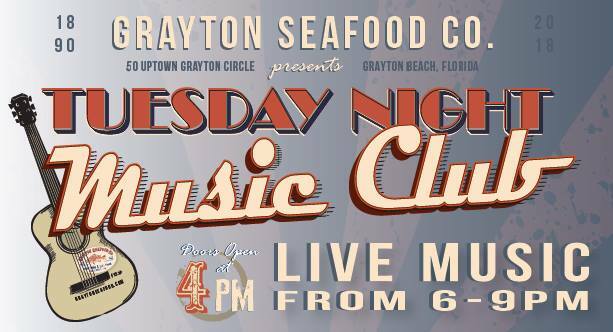 Join us every Tuesday night for live music by our favorite local musicians. Come at 4 for Oyster Happy Hour and let Kenny shuck you some oysters before music starts at 6! Half Shell Oyster Happy Hour – 4-6!